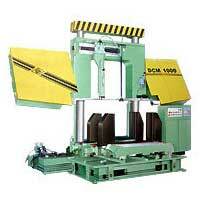 The Heavy Duty High Speed Band Saw Machines is a semi automatic machine. It has power driven band brush for chip removal. Due to continuous improvement of the product, SPM reserves all rights to change the above specifications without any prior notice.